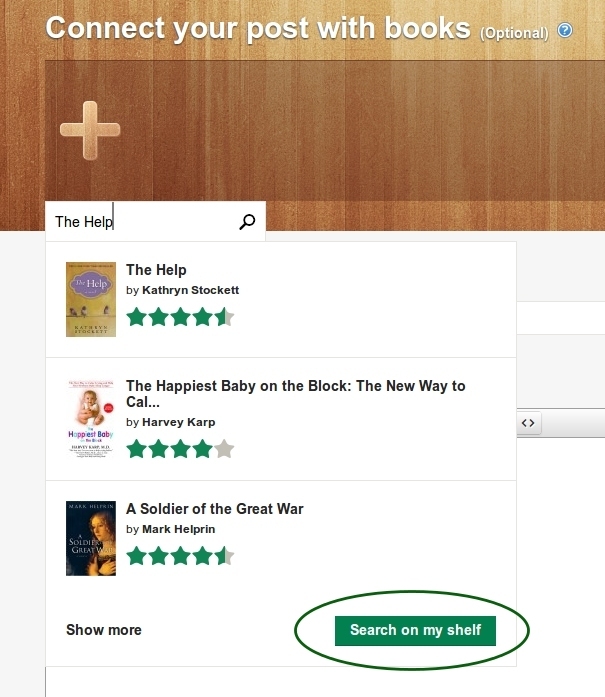 A search from your bookshelf option is back. 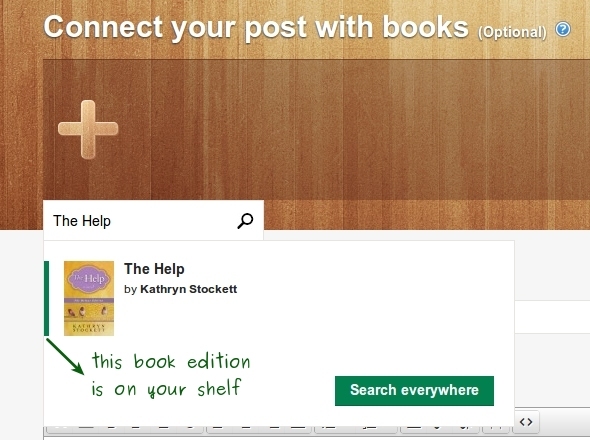 Now while writing a post you can easily find a book from your shelf and attach it to your review, and any other kind of a post. Choose a post template: text, photo, quote, link, url, and go to a writing box. Use a search box, and write a book title or author. If you want to check whether a given title is on your Shelf, press Search o my shelf on the right. 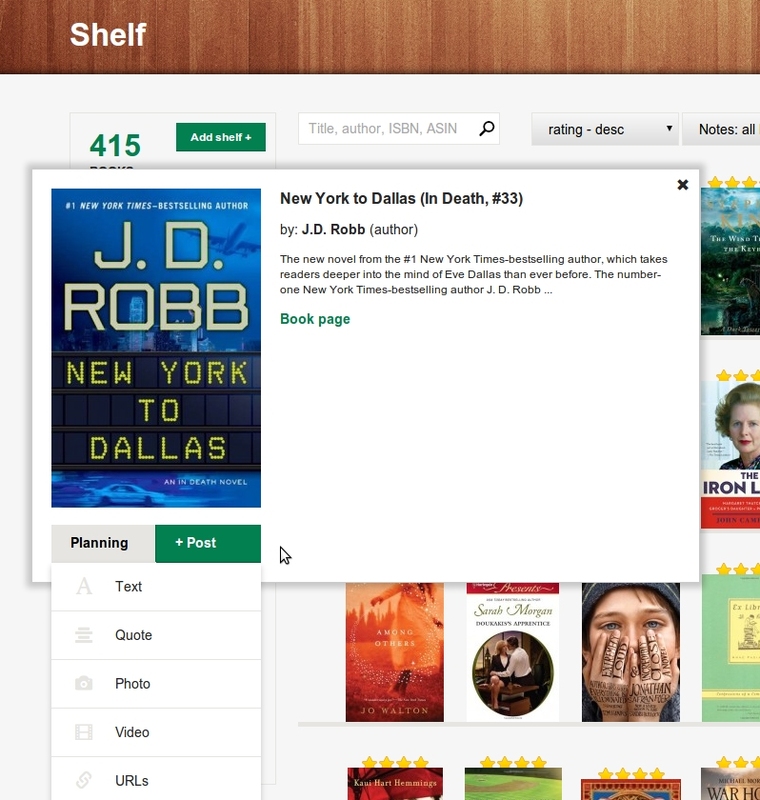 In the search on my shelf option, use a book title OR author's name to find a shelved book. If the title is on your shelf, you'll be given a book edition straight from your shelf as a search result. The green marker on the left indicates that this book edition is on your shelf. Click the book and start writing :) The book review will be attached to the edition on your shelf, and the link to your review will be added to your shelf table view. You can attach 10 books to a single post. You can also write a post straight from your Shelf. Hover over the book cover, click +Post and choose a post type.